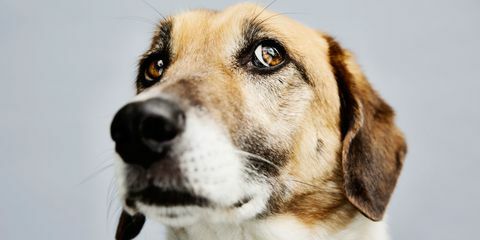 What is Anxiety in Dogs? In today’s society, anxiety is a common epidemic found in people, but now we are also seeing it first hand in our pets. It is a disorder that many pet owners, as well as their pets, face during all times of the year. It is important to determine why your dog is suffering from anxiety and figure out ways to help calm them down naturally to bring them back to a state of harmony. Anxiety is explained as “a general term for several disorders that cause nervousness, fear, apprehension, and worrying. These disorders affect how we feel and behave and can cause physical symptoms”. When a person or animal has anxiety or fear their autonomic nervous system produces the flight or flight hormone, otherwise known as cortisol. There are alternative ways to help calm an anxious dog besides medication. In severe cases it might be the smartest option at the time, however with proper maintenance and care, most dogs can manage their anxiety with holistic solutions. Getting your dogs endorphins going, just like humans, is a wonderful way to ease anxiety and stress. Exercise also helps produce healthy amounts of serotonin in the brain and helps get rid of tension and pent up energy. It is also a healthy way to distract a dog from their temporary disorder and make them feel happier and healthier. If you work long hours or want to give your dog some extra TLC while you are gone throughout the day, hiring a trusted dog walker can be very beneficial for an anxious dog. It breaks up the time spent apart from you and gives them an extra mental and physical activity throughout the day. Our company provides one on one walks, playtime and/or just spending quality time with your dog(s) while you’re away. Water therapy is another form of exercise, but it can also be very calming and healing at the same time. The weightlessness of the water provides a safe environment for your dog and reduces the risk of a land based activity. If your dog is fearful of water, putting your trust into an experienced and certified hydrotherapist can make a world of a difference. Our sister company, Dip’n Dogs Hydrotherapy, is equipped to handle such cases and know how to successfully turn your dogs fear into success. Hydrotherapy has many benefits on not just the mental health in dogs, but also their physical aspect as well. Here is a link to another discussion, going more into depth and explaining why hydrotherapy is beneficial to dogs with any kind of disease (mental or physical). A calming massage works wonders for a dog whose been uptight and stressed. Just as humans, massage helps release tension and clear any energy blocks in the body. Lastly, make sure you do your research and choose a certified and licensed canine massage therapist ONLY to work on your dog. Behavior modification and desensitization is a process, and is best done with the help of a professional. A positive reinforcement trainer or animal behaviorist who has experience working with anxious dogs is the best option to choose. We recommend a local trainer, Jessica, with the National Academy for Dogs, who we have seen first hand, really help dogs. She is very knowledgeable as well as caring and compassionate. Here at Walk’n Dogs, we retail for a local Orlando company, who provides a few different types of CBD Oil for pets and humans. KONO Naturals offers small, medium and large breed oil tinctures as well as a standard human CBD tincture. KONO Naturals CBD oil is 100% THC free organic grade Phytocannabinoid Hemp oil. It is organically farmed with a non-GMO formula and is pesticide and residual solvent free. We also sell in-person if you need to pick some up! If you need to purchase online, visit our PRICING page to get started. We always hear amazing results from customers, so why not be apart of it all… Long live happy and healthy pets! Walk’n Dogs provides in-home visits for dog walking, pet sitting, pet concierge and more. Each service is customized to fit each dog and their needs. We provide service to the Winter Park, Baldwin Park, Maitland, College Park and Casselberry areas.